Austin Peay will closeout their trip to The Natural State on Monday with a, 1:00pm, contest versus Arkansas-Pine Bluff, followed by a, 3:00pm, tilt against tournament host Central Arkansas. Stephen F. Austin and Coppin State are also participating in the tournament this weekend, but the Govs don’t have matchups versus the pair. With the threat of inclement weather lasting throughout the weekend in Arkansas, follow the Govs softball team on Austin Peay’s official athletics website Let’sGoPeay.com or on Twitter @AustinPeaySB for any other information, updates and possible schedule changes. The Jayhawks enter the weekend with an 8-2 overall record after posting back-to-back 4-1 weekends to open the season at the Stetson Leadoff Classic (February 9th-11th) and the University of Texas-San Antonio Tournament (Feb. 16-18). Austin Peay is 0-1 all-time versus Kansas, having lost their only meeting, 9-0, on February 28th, 2010 in Chattanooga, TN. The Jackrabbits haven’t played since going 2-3 in their season’s opening tournament at the UNI Dome Classic, on February 9th-11th, with last weekend’s tournament at North Florida being cancelled. This will be the first meeting between the two schools on the softball field. 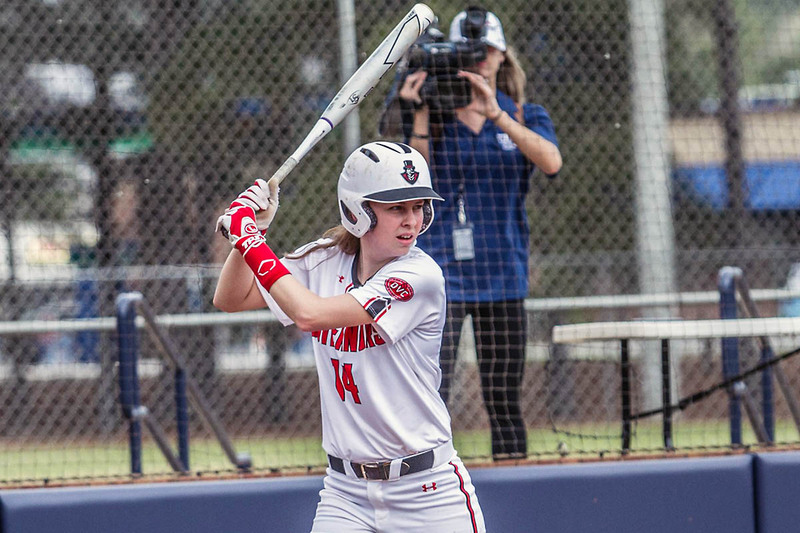 The Warhawks are 4-4 entering the UCA Tournament, including two of the four losses coming again national-ranked teams LSU (7th) and Arizona (13th), having last played at the Hillenbrand Invitational (Feb. 16-18). Austin Peay is 1-3 all-time in the series versus Louisiana-Monroe, but winning their last meeting, 5-3, on February 17th, 1990 at ULM. The Golden Lions are 3-3 heading into this weekend’s action, their best start to a season in three years. Both the Govs and Golden Lions have a common opponent played this season in Alabama A&M, with UAPB edging the Bulldogs at home 1-0 on February 10th, while APSU defeated the Bulldogs 5-3 at A&M on February 13th. Austin Peay is 2-0 all-time versus UAPB, sweeping a doubleheader at Cheryl Holt Field on March 12th, 2016 by 8-3 and 10-6 finals. The Sugar Bears are 3-4 heading into their home tournament, with two of their losses coming against national-ranked LSU (7th) and Oregon State (receiving votes in national poll). This will be the first meeting between the two schools on the softball field. Just four games into the season, 21 different Governors have seen action, marking only the second time in the programs history that at least 20 players have played in the same season. In recording two home runs in their win versus Alabama A&M, the Govs ended a string of 17 straight games (dating back to last year) without recording multiple home runs in a contest. Junior lefthanded pitcher Morgan Rackel has posted complete-game effort in her first two starts of the season, the first APSU pitcher to do so since Natalie Ayala in 2015. Juniors Danielle Liermann and Kacy Acree have recorded hits in each of the four games played by APSU this season. APSU pitchers have fanned 25 batters in 26 innings so far this spring, an average of 6.7 per seven-innings, while walking just seven.